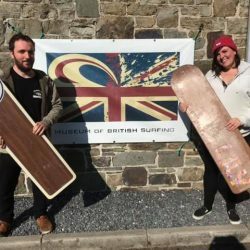 Hundreds of vintage surfboard collectors and enthusiasts flocked to the Museum of British Surfing in North Devon at the end of September for the annual meeting, and GB`s first-ever vintage surf auction. 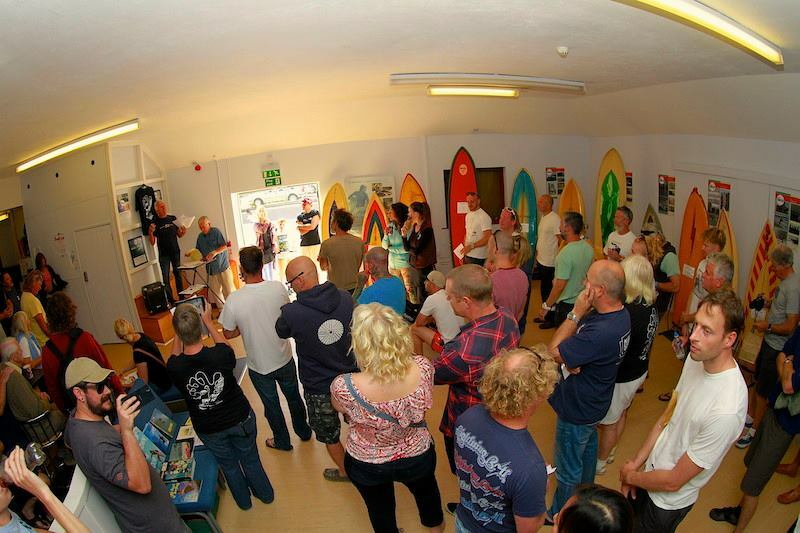 Great weather, masses of boards on show, hot food & drinks on sale – all good ! 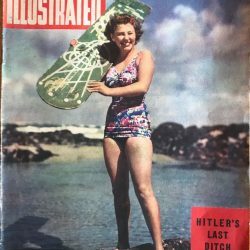 There were 20 lots in the auction and half of them were sold then, or if the reserve wasn`t met, later in the day when the unlucky bidders found & haggled with the owners. The highest price for a single board was £ 300, a reflection of it`s great condition. 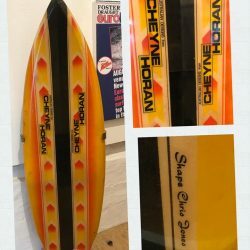 The new owner will be displaying it on a wall in his Woolacombe hotel. 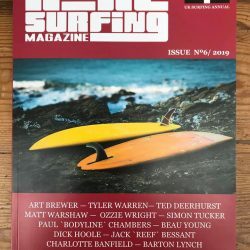 The museum`s trustees and volunteer staff did a great job organising the day and looking after everyone, and this event and the spring meeting in Newquay continue to be the highlights of the vintage surf year. The excitement and banter between collectors & enthusiasts at these meetings is contagious, if you want a great day out don`t miss one ! Photo: Alex Williams, Words: Tony Cope.